Heifers being loaded onto the S.S. Virginian to travel to Poland in June 1946. Photo credit: Charles Shenk,. 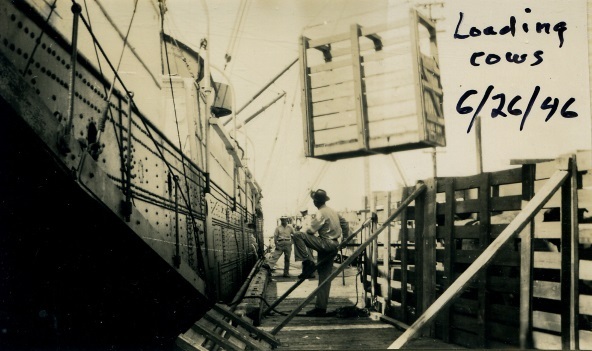 Heifers being loaded onto the S.S. Virginian to travel to Poland in June 1946.